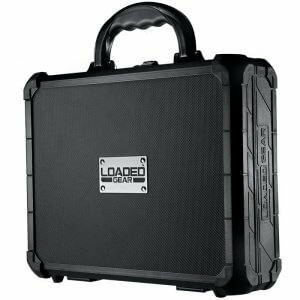 Protecting a rifle during transport and storage is a top priority for any gun owner, which is why Loaded Gear has developed a full line of protective hard cases designed specifically for rifles. These tough hard cases provide crushproof protection for the valuables inside, and feature built-in rollers and pull handles for easier transportation. 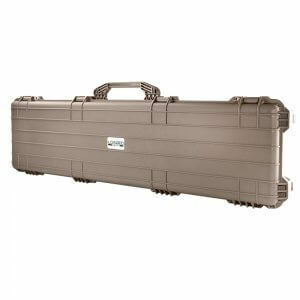 For added security, each Loaded Gear hard rifle case features reinforced lock mounting points for attaching a padlock. The new HD series of watertight hard cases by Loaded Gear feature edge-to-edge crushproof protection for storing and transporting equipment. The dual-use design of these protective strong cases is ideal for both protecting valuables during outdoor activities and securing professional equipment for transport. All Loaded Gear HD military cases are designed and manufactured to high military specifications to protect valuable equipment in rugged conditions. With an o-ring providing airtight seal, the HD Series of protective hard cases prevents moisture damage to sensitive electronic equipment such as computers, cameras, video recorders, and more. A pressure equalization valve allows the case to adjust to different atmospheric pressures while retaining its waterproof capabilities. Two solid locking latches keep the watertight seal secured during use, ensuring that no water or moisture comes into contact with the items inside. 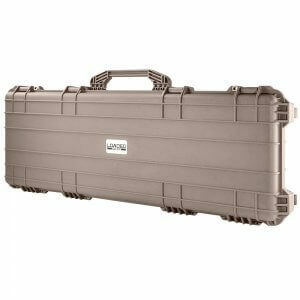 The new Loaded Gear™ AX series of hard rifle cases are designed for secure storage and transport of weapons. These aluminum framed rigid rifle cases are designed with hard plastic molded crushproof end caps for added protection during transport. The two long rifle case models feature two lockable case latches, crushproof handles and built-in solid wheels for easy transport. 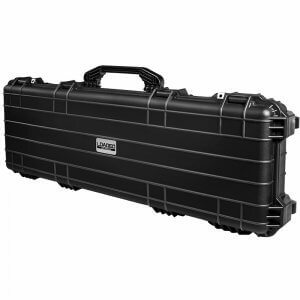 The AX-200 hard rifle case is designed to carry up-to 50inch long rifles or shotguns. 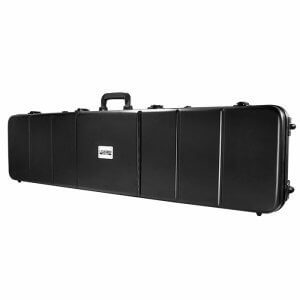 AX-100 hard rifle case is designed to carry up-to 34inch standard rifles. Also available by Loaded Gear™ is the AX-50 reinforced compact handgun case with a combination lock. 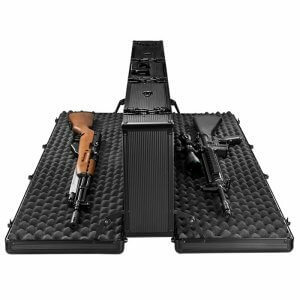 The AX series of hard cases all included customizable pre-perforated cubed foam and two layers of egg crate foam case liner to protect rifles from internal movement. 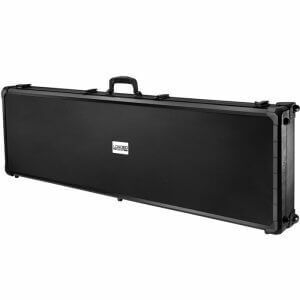 Most Loaded Gear Rifle Hard Case comes with perforated cubed foam that can be customized to secure a wide range of shapes and sizes of rifles, adding protection from shock and impact. To customize the foam, place the firearm on top of the crate and then trace it with chalk or marker. Next, remove the foam within the traced area to reveal a perfectly shaped compartment for your rifle. Traditional egg crate foam is also included to help protect the firearms during storage and travel. 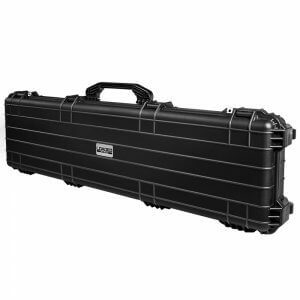 The new AX-500 and AX-600 Tactical Rifle Case by Loaded Gear provides solid protection in it's crushproof polypropylene casing. The AX-500 and 600 features an o-ring seal to keep water and moisture out of the case and away from the rifle and accessories. 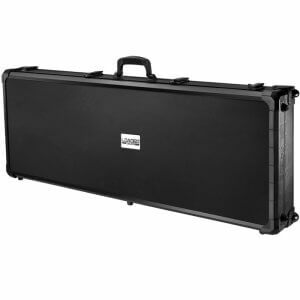 Both of these hard rifle cases come equipped with a pressure equalizing purge valve that can be opened to adjust the pressure on the inside of the case in the event that it is transported to higher or lower elevations. This protective case also has two built-in roller wheels that allow the user to easily pull the case when traveling over smooth surfaces. Additionally, there are two reinforced locking points on the case that allow the user to safely secure the contents inside.